Second, there is the claim that Israel benefits American security. That is also a lie. Washington’s relationship with Israel, which is now more subservient than it ever has been, is a major liability that is and always has been damaging to both American regional and global interests. The recent decisions to move the U.S. Embassy to Jerusalem and to recognise Israeli sovereignty over the Golan Heights were ill-conceived and have been condemned by the world community, including by nearly all of America’s genuine close allies. The harm done by the Israeli connection to policy formulation in Washington and to U.S. troops based in the Middle East has been noted both by Admiral Thomas Moorer and General David Petraeus, with Moorer decrying how “If the American people understood what a grip those people have got on our government, they would rise up in arms. Our citizens certainly don’t have any idea what goes on.” Petraeus complained to a Senate Committee that U.S. favouritism towards Israel puts American soldiers based in the Middle East at risk. He was quickly forced to recant, however. But Kohr, Klein and Schumer all know as well as anyone that Israeli Jews, fortified by their conceit of being a “Chosen people,” are not interchangeable with contemporary Americans, or at least not “like” the Americans who still care about their country. There are hundreds of mostly Jewish pro-Israel organisations in America, having a combined endowment of $16 billion, that are actively propagandising and promoting Israeli interests by ignoring or lying about the downside of the relationship. The University of Michigan affiliate of the Hillel International campus organisation alone has a multistory headquarters supported by a budget of $2 million and a staff of 15. It hosts an emissary of the Jewish Agency for Israel, an Israeli government supported promotional enterprise. So, what is the meaning of the “American” in AIPAC? Requiring a religious-ethnic litmus test for full citizenship and rights is Israeli, not American. Having local government admissions committees that can bar Israeli-Palestinian citizens based on “social suitability” would not be acceptable to most Americans. Demanding a unique Israeli right to exist while denying it to Israel’s neighbours; demolishing homes while poisoning Palestinian livestock and destroying orchards; shooting children for throwing stones; and inflicting death, terror and deprivation upon the imprisoned people of Gaza are all everyday common practice for the Israeli government. 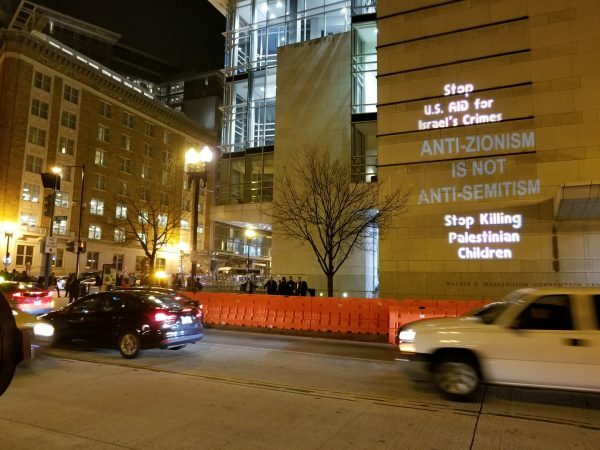 Israel and AIPAC have relentlessly pursued their agenda while also corrupting the Congress of the United States to support the Israeli government with money and political cover. Israel and friends like Kohr routinely make baseless charges of anti-Semitism against critics while also legislating against free-speech to eliminate any and all criticism. This drive to make Israel uniquely free from any critique has become the norm in the United States, but it is a norm driven by Israeli interests and Israel’s friends, most of whom are Jewish billionaires or Jewish organisations that meet regularly and discuss what they might do to benefit the Jewish state. And the fourth big lie is that the American people support Israel on religious as well as cultural grounds, not because mostly Jewish money has corrupted our political system and media. Indeed, many Christian fundamentalists have various takes on what Israel means, but their influence is limited. The Israel-thing is Jewish in all ways that matter and its sanitised Exodus-version that has been sold to the public is essentially a complete fraud nurtured by the media, also Jewish controlled, by Hollywood, and by the Establishment. Steny Hoyer will be on an AIPAC affiliate sponsored trip in which any contact with Palestinians will be both incidental and carefully managed. He also clearly has no problem in spending the taxpayer’s dime to go to Israel on additional “codels” to get further propagandised. He is flat out wrong about Israel in general, but don’t expect him to be convinced otherwise, which may be somehow related to the $317,525 in pro-Israel PAC contributions he has received.